Join Johnnie and Ora as they dive into their new series of shows that explore the mindset of the addictive personality. 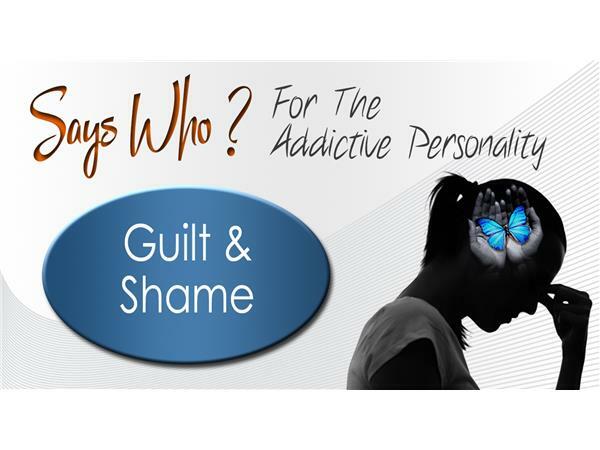 In this conversation, they discuss the thoughts surrounding guilt and shame. Using the Says Who method can be a tool to help dispel the energy around those powerful words. Through their conversations, they will share a powerful combination of practical principals and usable tools to alter the thoughts that drive the addictive personality. They will invite questions from their listeners and feature shows that address those questions. Ora Nadrich is a certified Life Coach and Mindfulness Meditation teacher as well as the author of the groundbreaking book, “Says Who? How One Simple Question Can Change the Way You Think Forever.” Ora's rare combination of insight, intuition, compassion and charisma has made her one of the most effective and sought-after life coaches in Los Angeles. Johnnie has written three books; "Taming the Dragon; The Object is Not to Conquer the Dragon but to Tame Him and Make Him an Ally", "Dragons to Butterflies; The Metamorphosis of a Man" and "The Bridge; Where Souls Connect". He has over 30 years of studying A Course in Miracles and practicing the 12 steps and he has participated in many healing workshops with world renowned healers and teachers, (in pursuit of his own healing). Johnnie has now devoted himself to sharing what his seeking has taught him.